Many areas are known for their pottery and Ohio has a rich history of being home to some really spectacular potters. Sometimes the ground itself is the reason a potter sets up shop in a certain area and sometimes it is more than that. 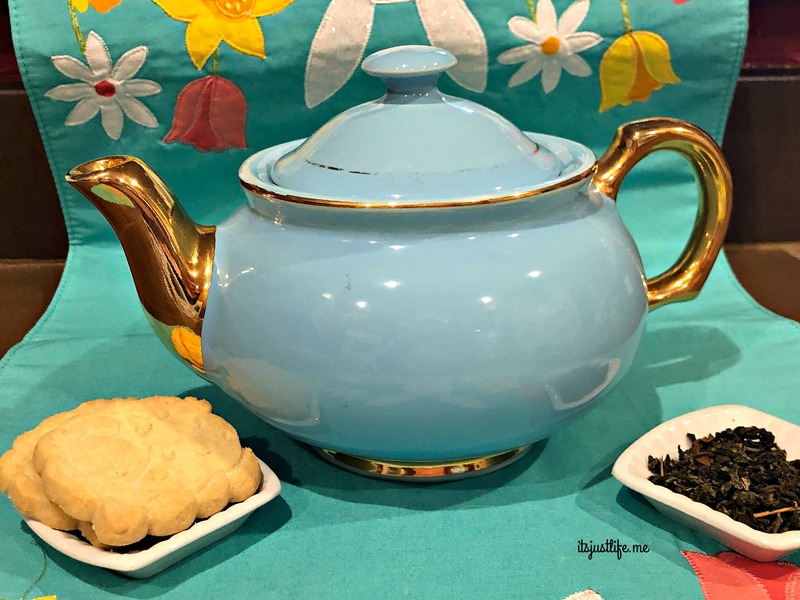 I was thrilled to find a teapot made by Colonial Pottery Co. with a stamp of Sebring, Ohio on the bottom on eBay for a great price. My mom has lived in Sebring for the past 20 years and to have a teapot that came from that area just makes me happy. 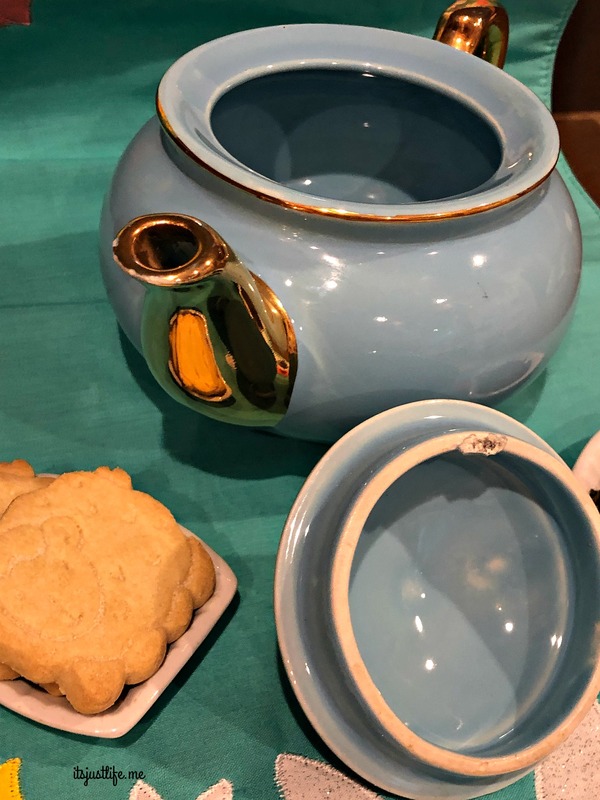 One of my Iowa friends tagged me a picture of her teapots and one was a Sebring teapot so the hunt was on. This one is not in perfect condition but it has been well loved and that makes me smile. 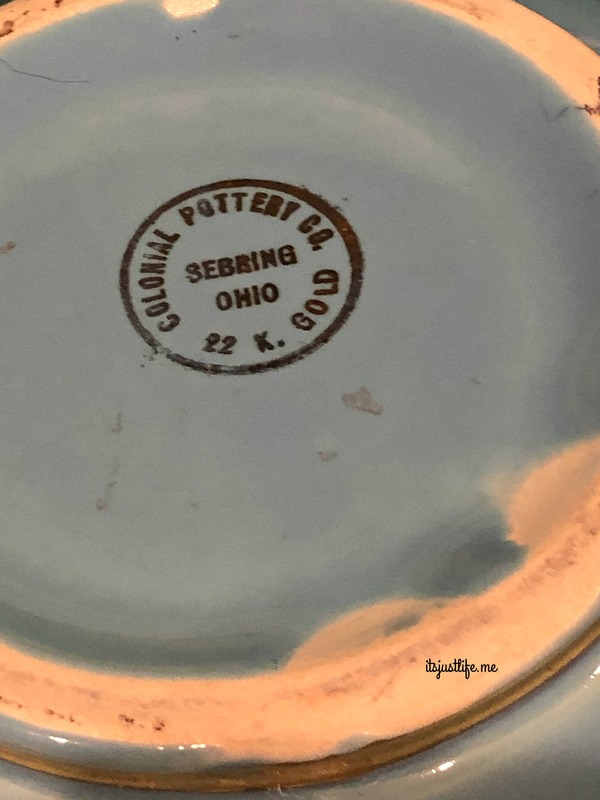 The history of pottery places located in Sebring was not due to the clay soil as some might believe. Instead, according to the Sebring Historical Society, it was due to the supply of coal and water. waiting to tell us their history. Taken from www.sebringhistoricalsociety.org. I love this teapot with all of its imperfections. 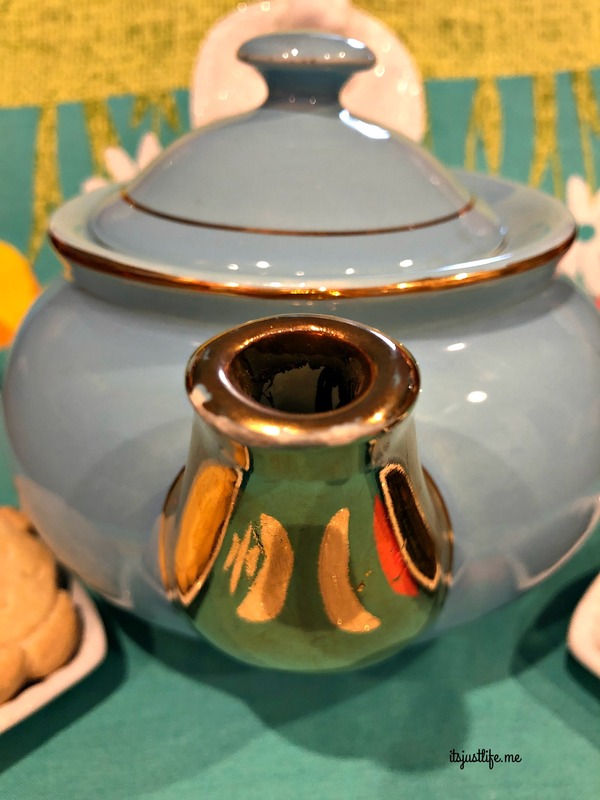 The rubbed off gold, the slightly chipped spout (it still pours fabulously) and the chipped lid all make this one a well loved teapot that I am thrilled to add to my collection. I may be feeling a bit sentimental about it but that’s okay, right? Leave me a comment and let me know if you like this one. Each comment means a 50 cent donation to our Comments for a Cause – Camp Robin Rogers. ← Previous What’s On Your Camera Roll? Here’s My Past Two Weeks Recap! Aw, how special that you found one from Sebring! It’s very exquisite and, as you say, well-loved. Your table runner is so pretty! Thanks, Dianna. I was so happy to find this one and it is one that since it has been used makes me love that I can have it in my collection. One day maybe I can take it with me to Ohio and serve my mom tea in it! It looks like a very practicle teapot that would pour nicely. I too love that it is well used. The stories it could tell. The quote is so perfect. Sharing a cup of tea, even if in my mind, is always best. The pot pours so well! I was a little surprised because the spout seems so chunky but it is a fabulous pourer! It’s always nice to find something with meaning. I like the color and gold accents. Things always seem more precious with a personal connection. 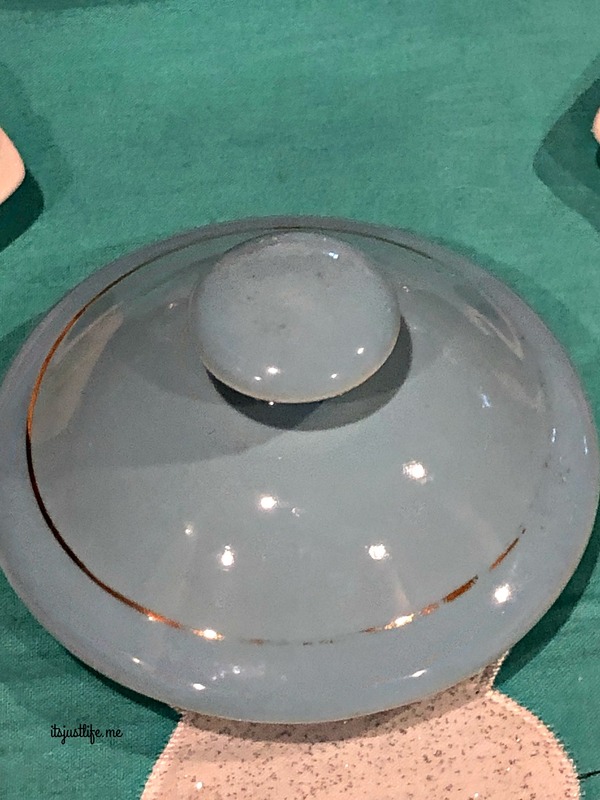 I appreciate the simplicity of this teapot. 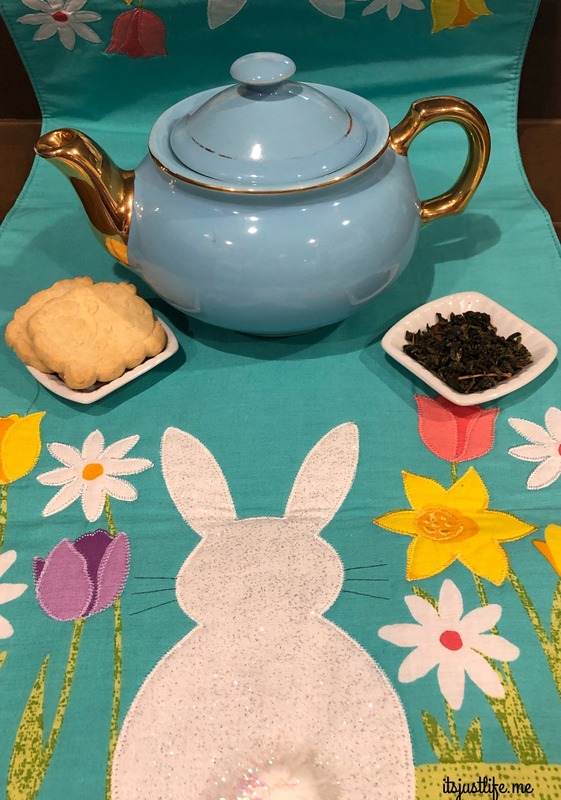 I love the thought of you and you Mom having tea together with the lovely teapot. How great a treasure that it was made in Sebring. What a neat find for you! A very fun find with a slight connection to my mom so it makes me happy.